Broadband has come a long way and provides considerable opportunities for forward-thinking businesses. Voice Over IP (VOIP) phone systems are a perfect example. These allow you to hold business phone and conference calls over your broadband line and cut travelling and meeting costs. They are also often significantly cheaper than traditional phone lines. Why choose a VOIP phone system? You save money because call rates are usually a lot cheaper. You don’t need to invest in additional equipment or specialist parts, as VOIP uses your standard server. You can have as many extensions on your VOIP phone system as you like, without the need to add extra hardware when you add additional users. You can have phone extensions in other offices or employees homes, allowing you to spread the cost savings across the entire business. By doing this, you will also make phone calls into the office from these remote locations free. You can take advantage of a range of standard and advanced features, including voicemail, voicemail to email, automated attendant menus, ring groups, call data records and much more. You can use your VOIP telephone system for conference calling, call recording and remote access to voicemail. The system is regularly backed up and reports are downloaded to our systems on a weekly basis. So if there are any hardware failures, we’re on the case as soon as possible. You can use the VOIP phone system as a Private Branch Exchange (PBX). 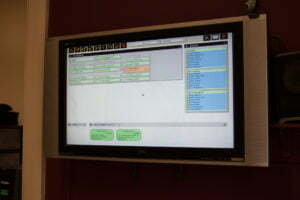 This means you can have a switchboard that links to your office and any others onsite. So you can actually generate an income through your VOIP phone system. Your VOIP phone system can be integrated with PC applications such as Outlook, making calling contacts in your address book even easier. You can choose your area code to suit your business, no matter where you’re located. You can connect Wi-Fi compatible mobile phones to the system too, which means calls to mobiles are free when they’re connected to the network. You can use it on standard lines such as analog, ISDN2 and ISDN30, by using adapter cards. 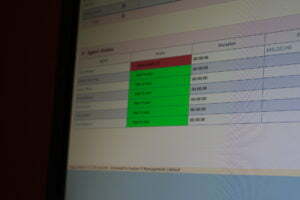 You can accurately monitor inbound and outbound calls at any point of time and create informative reports. 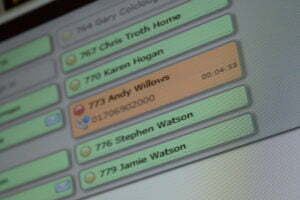 You can take advantage of active screens that show stats and individual agent availability. FusionPBX uses an Asterisk based PABX platform that is light years ahead of the competition, yet costs a fraction of the price. It can be run in a virtualised environment, or on new or existing server hardware. It is based upon a new kind of hybrid PBX platform, allowing use of pure VOIP and old fashioned wired based solutions on the same system. It was developed to handle medium to high call rates on existing copper and fibre based TDM networks, it is equally at home in the ADSL world of SIP and VoIP and will even enable 100% uptime when using the FusionNet (link to firewalls) firewall device and appropriate internet connections. It provides a low cost of ownership when compared with traditional proprietary telephone systems. It delivers seamless working from home and call forwarding. It offers a range of advanced features, like dual server high availability, advanced call recording and true hot desking, which make it ideal for high call volume sites and call centre applications.